Although Saint Patrick was not an Irishman, he is the patron of Ireland. 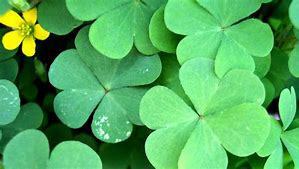 March 17, death date of Saint Patrick, is a cultural and religious celebration for every Irishman in the world. The Irish are a global family, 70 million people in the world admit to Irish descent, and half of them live in the United States. That is why this particular day for Irish people is also widely celebrated in many American cities. Are you also celebrating St. Patrick’s Day? Ever present greenery makes it impossible to overlook it. There are green clothes, street lighting, green drinks and green decorations, but now it can also be green in environmental spirit! So why not make it this year St. Patrick’s Day TRULY green? Here are some tips for you to go on this holiday in a greener and more sustainable way! Green plastic tablecloths are fun ways to decorate your party table; the only disadvantage is that these decorations are destined for the trash the next day you wake up. Instead, try to invest in materials that you can reuse on another occasion. You can also make your green decorations from recycled paper. Let your imagination to do the job or get inspiration from online resources. Reducing plastic materials means a far lighter burden on the environment! Wearing green is mandatory on St. Patrick’s Day. However, the best way to dress GREEN is to wear what you already own. Avoid buying seasonal T-Shirts that will last only for one night. If you already planned a day at the shopping mall searching for your outfit try to purchase green clothing that you will be able to wear year-round. Alternatively, search for some secondhand. Just like plastic decorations, less consumption means less waste. Consider more eco-friendly options like walking. If the celebration is a little too far, consider public transit or carpooling. Fewer drivers on the road mean fewer carbon emissions. Additionally, you will also have a chance to truly enjoy the party with few beers without the need of driving back home. Are you going to the parade? Well, another way of making this day more sustainable is bringing your reusable containers. Think about the amount of plastic that is going to waste during mass parades. What is a better way to embrace sustainable living than giving an example and educating your friends and family? This year take the chance to spend this day truly green. Enjoy your time with friends and family and take a moment to reflect on how you can all help to make a difference in this world!